Welcome to my world–the world of musical tuning and various philosophical issues that arise from it. Those of us who own tuneable synthesizers posses an amazing freedom. For not only may we quit Equal Temperament and explore Just Intonation, but also we may use any frequency as our Pitch Standard. We are no longer tied to “A”=440 Hz. as our base frequency. But why choose one base frequency rather than another? Is the choice of a tuning Standard arbitrary? This article represents my research for a Standard which is based upon resonances found in the natural world. 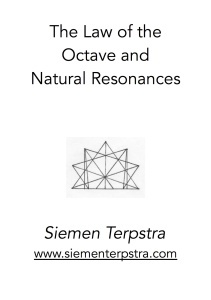 The key to unlocking these natural resonances is the Law of the Octave. This article was published in 1/1 – the Journal of the Just Intonation Network (San Francisco) in 1985. Click on the link to see the article in your browser or right-click to save the file to your drive. This entry was posted in 53-et, Miscellaneous on 1 December 2014 by Siemen. 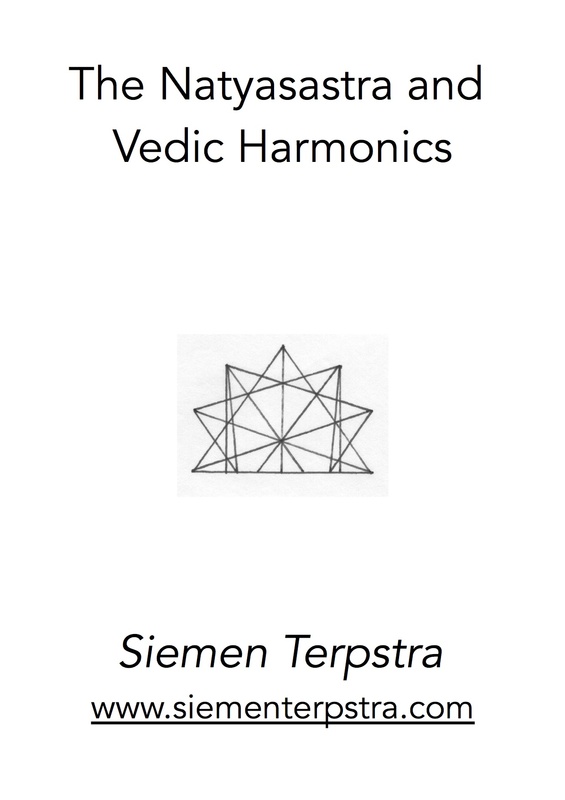 The study of harmonics is usually and rightfully associated with musical tuning theory. 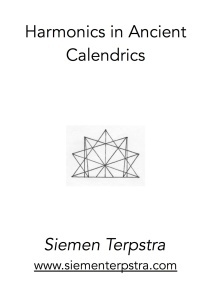 However, another appropriate context for this branch of arithmetic is the establishment of a calendar. In both situations, the procedure rests fundamentally on the measurement of a time period for a vibratory event. In the case of tuning theory, these cyclical interactions happen very quickly–hundreds, even thousands of periods per second. Consequently it is convenient to use the concept of frequency (cycles per second) as a descriptive device. In the case of calendrics, we are still measuring a physical vibratory event, but the time periods are very long; consequently, the frequency numbers are very low. It becomes more convenient to express measurements by period. For example, the year cycle is about 365 days long. We could convert this number of days to seconds (a big number! ), and the invert the ratio to give us the frequency. In other words, frequency and period stand in inverse relation to each other. This entry was posted in History, Miscellaneous on 1 December 2014 by Siemen. The author presents a new interpretation of the Natyasastra (the SRUTI system) of ancient India, showing links with a much older system originating in the nuclear Near-East. The ancient text shows an awareness of the Comma scale (associated with pure intonation). Yet it hides the true structure of this scale in a net of confusing and contradictory information. The author concludes that the artificiality of the system was purposefully presented in order to preserve the truth from the uninitiated. Click on the links to see the articles in your browser or right-click to save the files to your drive. 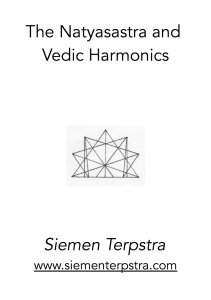 This entry was posted in History, Just Intonation, Miscellaneous, Monochord on 1 December 2014 by Siemen. 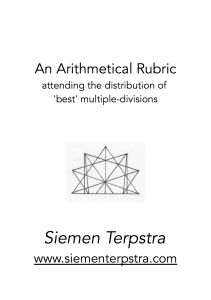 The author shows a formula that results in very good multiple divisions. An epimoric source ratio generates a specific resolution level of harmony. 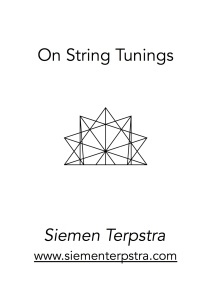 This entry was posted in Just Intonation, Miscellaneous, Multiple Divisions on 1 December 2014 by Siemen. In 2002 I went to Egypt in order to observe the antiquities. While in Cairo I bought an oud (Arabic lute) for a decent price. The maker kindly showed me a couple of the preferred tunings of the instrument. It sparked my interest in further investigation. I drew up a list of the tunings of the guitar, oud and lute. Over time this list expanded as I added more instruments and extended the range from tenor (where the guitar and oud sit) to the soprano and bass extremes. The result is the list of one hundred and thirty-six tunings shown at the end of this article. This entry was posted in Miscellaneous on 1 December 2014 by Siemen. 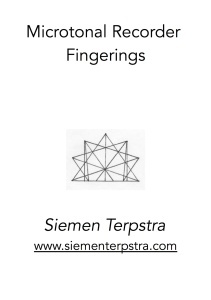 The author presents a collection of microtonal recorder fingerings with special emphasis on glissando fingerings.